Football is the most intellectual of all the major sports in the USofA. Go ahead, laugh, but it’s true. All those breaks between plays are more than time for wagging commentary and the occasional Bud commercial, they are a chance for the coach to send in a play that one side will attempt to execute while the other tries to foil it. Raw athletic ability is often thwarted by a clever plan or a quick wit that sees past it. Amid the changing fronts of trench warfare that form the game, a good General is what it takes to win. But there’s a lot more to football than that. What we’ve learned from the NFL in particular is how important it is to set up a system where everyone has a chance and the rules are evenly enforced. It’s America at its best. Don Strock in playing form. I can say all this because it’s an easy way to get past how I really feel about football, which is far more complicated. I was born into the religious faith of Dolphins fandom, proudly sporting the very classy colors orange, aqua and white every Sunday. I often would look away when my heroes didn’t look too great, unwilling to see anything that might challenge my faith. I took heart in a Miami Herald article explaining that sales of live chickens went up the Friday before the Dolphins played, likely as sacrifices to the Santeria dark lord Chango – hey, we had serious juju on our side! That kind of faith is easy when you have the only perfect season. But it was destined to become a lot more as a grew up, a faith in the only spirit stronger than the team that could unite the many people of Miami. Back on 2 January 1982, when the Dolphins were hosting the Chargers for the AFC Championship, I became a fan of the game itself. The game opened with David Woodley as QB for the Fins. And wouldn’t you know, he was just terrible that night and threw an interception right away. Add to it a fumble and screwed up punt coverage, and with a few minutes to go in the first quarter the Fins were down 24-0. I was sick to my stomach. I told my dad that I was going to go and walk the dog because the last thing I wanted to do was see more of this. 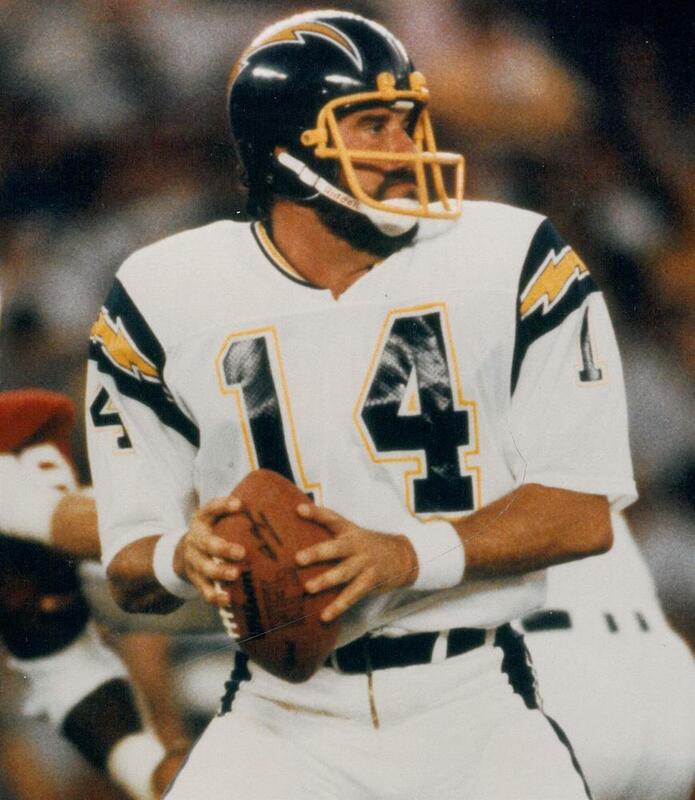 Dan Fouts, a worthy adversary. In the hot and sticky air, I could hear people sitting out on their patios with the game on, yelling and screaming. I knew something was up. The Fins were making a comeback! Then the Chargers kicked a field goal and won it in OT. We lost, just like that. 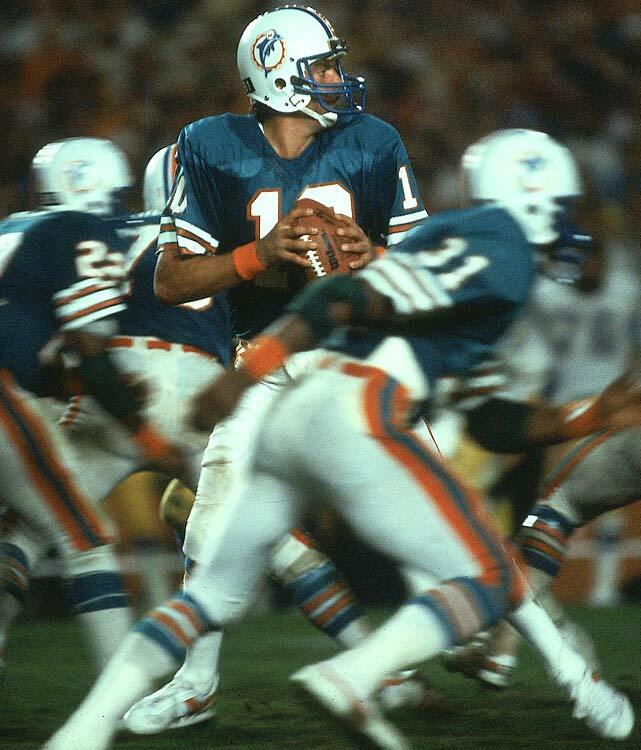 Strangely, I wasn’t upset that the Fins had lost, because I knew I had seen a game that I would remember the rest of my life. If we had to lose to someone, I was glad it was San Diego because they were obviously a worthy opponent. What mattered to me was that it was one Hell of a game. 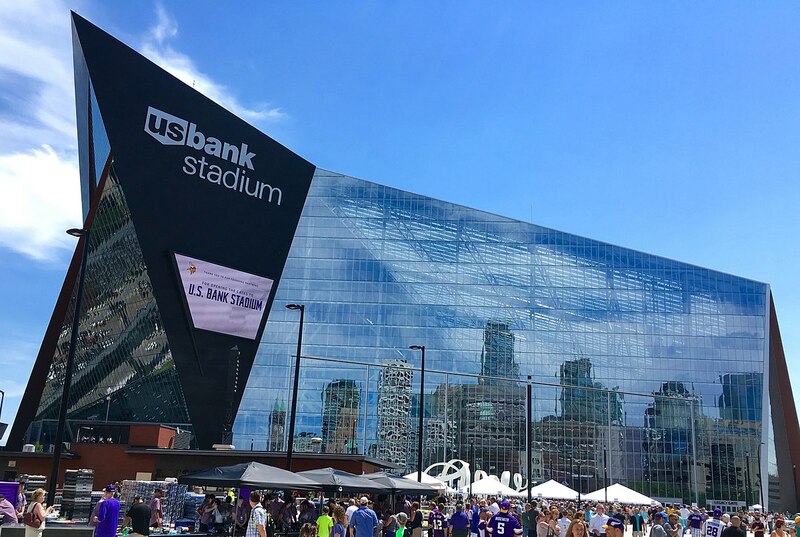 US Bank Stadium, home of the Vikings. Was it worth a billion bucks? Since that time, I have moved away from Miami and lived in a number of places. I still like the Dolphins, but I can’t see the Steelers without thinking of the great spirit of Pittsburgh. I wish Vikings fans were far more loyal than they are. There are so many teams, so many good guys out there, and a lot of football to watch. I am not a fan of any team, I am a fan of football. What matters most is how the game is played, not who wins. Now, I realize that this is a cliché, and that if you are one of the players what matters is winning. But if you’re not one of the 55 guys and bazillion coaches on the team, you have no reason to cheer for anything but a Hell of a show. More importantly, I think this is a lesson about life as well. If you are a player you need to win, but for those of us on the sidelines watching politics or business or anything competitive, what matters most is not that “our side” win. Without grease in the game, there is no side other than the one that wants to see the rules followed and the competition fierce. Our world is healthy when the game is good and everyone has a shot. That’s what I learned from football. That’s what the spirit really is about. All that, and a Hell of a show. For those of us who don’t care about football, or sports generally, reading a piece like this is like reading an ethnographic piece about an alien culture….. Nothing on Colin Kaepernick (sp? )?